Galkayo, Puntland, March 26th, 2019. Galkayo Education Center for Peace and Development Executive Director’s congratulatory message to Zamzam Abshir Samriye on her election as a Galkayo District council member. Ms. Zamzam has become a pillar at GECPD. I have known her for years as a young girl all the way from Primary school where she was a beneficiary of our women and girls education programme. On her graduation, she came back to GECPD as a volunteer teacher at Halabokhad primary school and community center in 2011. She worked through the ranks to become the school’s Headteacher playing a critical role in shaping the school to what it is now. 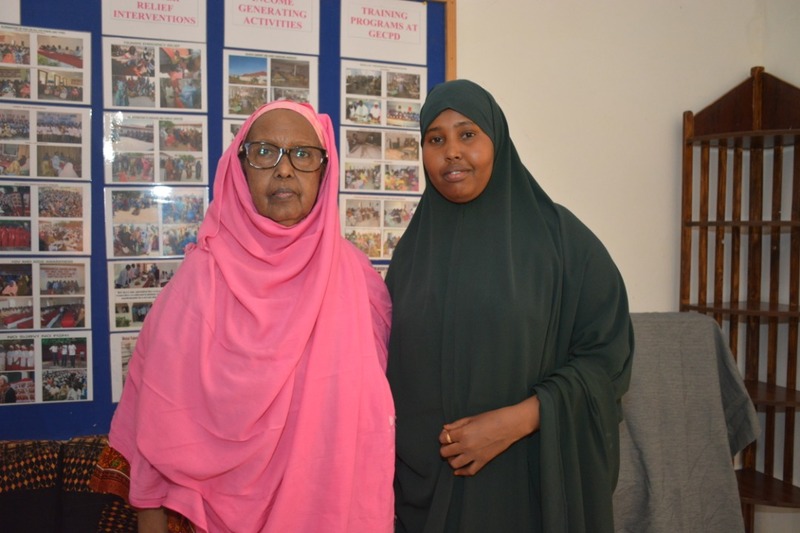 Until her appointment, she was serving as a psychosocial counselor for SGBV survivors at GECPD’s main Center a role she acquired as a promotion from being a headteacher. Zamzam is dedicated, disciplined and above a champion and a defender of Women and Girls’ Rights. Her passion has been to see empowered an womenfolk. Her appointment as a council member hasn’t come as a surprise but as a recognition to her commitment in making sure the voice of women and girls is heard and respected. We comment her for her dedication to the community and her vision for a better community. As she joins the other six elected women in the council, We wish her all the best for we know, she is up to the task.